The Irish Tree Society has contributed over €100,000 to preservation of woodlands, publications to recognise special trees and promote enjoyment of forests, and other activities. Woodland preservation at Coolattin in Co. Wicklow and the Headfort American Garden in Co. Meath both included contributions of money and expertise in preservation. 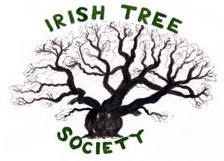 The Tree Register of Ireland (TROI) database is a record of outstanding specimen trees in Ireland. We support this financially as an ongoing project since 1995, as well as the publishing of the book Champion Trees - A Selection of Ireland's Great Trees (2005). A substantial donation and advice on managing the natural regeneration of Breite Oak Reserve in Romania, an old oak-pasture forest which supports much bio-diversity and gives great pleasure to the community. Our ongoing membership in the Tree Council of Ireland helps pay for administrative expenses, separate from specific supports such as to TROI. The Heritage Tree Survey (2009, 2010) was provided with cash donations to support the surveying of trees, office work and printing of the final report. Publications supported financially include the West Cork Woodland Survey, republishing in facsimile the book by Samuel Hayes, Practical Treatise on Planting and The Management of Woods and Coppices. Forestry research through partial funding of study on woodland restoration at Wicklow and Killarney National Parks.